Character LCD is very common and basic accessory, required in most of Embedded system projects. 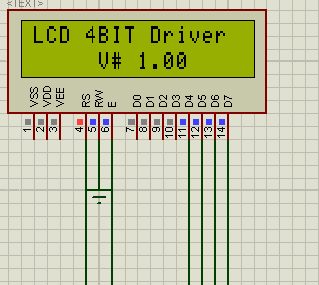 In today’s post we are making LCD Driver library(Compact Version) for our daily life project usage. Most of the code is inspired and borrowed from Flex-LCD Driver Library. In this driver we will only specific features which are required in our day to day projects and we will avoid features which are rarely used. Because saving IO pins is essential Task in Embedded systems, so we will only focus on 4bit mode instead of 8bit. Also we will not use R/W pin and will pull this pin to ground. lcd_init(); Required to call once before using any of library function. This will send initialization commands to Character LCD and force it to operate in 4 bit mode without the usage of R/W pin. void lcd_gotoxy(int8 x, int8 y) This function will place cursor to specified x,y position. Here x represents column number in LCD and y represents Row number. Maximum 4 rows are supported and column could be 10, 16 or 20 according to LCD type you are using. Also remember that x starts from 0 and y starts from 1.
void lcd_putc(char c) This function will print characters to LCD from current cursor position. void lcd_cursor_on(int1 on) Sending True will turn Cursor ON and sending False will turn Cursor OFF. lcd_init();  // Always call this first.